Join our growing movement of individuals and institutions who are committed to creating more hospitable communities, filled with experiences of encounter, understanding, and standing with and for immigrants and refugees. 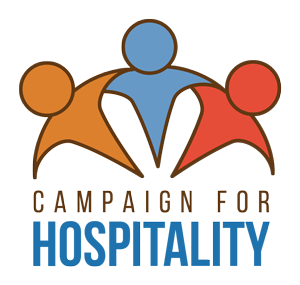 Campaign participants commit to participating in at least three campaign for hospitality initiatives per year. Hosting Jesuit Refugee Service/USA’s traveling photo exhibit featuring images and stories of people in refugee camps taken by Don Doll, S.J.